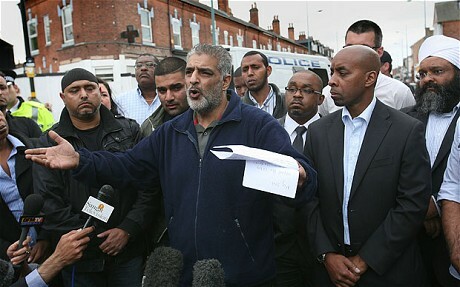 His diginifed appeal for calm after his son was killed prevented a race riot erupting in Birmingham. Just hours after holding his dying son Haroon, Tariq Jahan made a public appeal to calm tensions which led to him being hailed as one of the most inspirational figures of the week. He told a crowd gathered in the wake of Haroon and two other Muslim men's death: 'I lost my son. Blacks, Asians, whites, we all live in the same community. "Why do we have to kill one another? Step forward if you want to lose your sons. Otherwise calm down and go home." But in private, Mr Jahan and his family have been left devastated by the loss of the 21 year-old. "It is important for our family and for Haroon's legacy that we remain calm in public," Mr Jahan told The Sunday Telegraph. "But when we are all back home at the end of the day we hug and talk to each other about our grief and about our memories of Haroon, and the tears flow."